Many of you will remember the terrible battle between Stephanie and Jay Burkholder who owned a building at 217 Reserve Avenue and the Roanoke City Government when they took it from them via eminent domain to give to Carilion. It's easy to read a news article and think it's bad but not have sympathy for the people because you don't know them. Try to think about what you would do if this happened to you and if you would have the extra money laying around to defend yourself. I met Stephanie a couple years ago at a Tea Party get together and these people have a heart of gold. From what I understand, the properties "around" their flooring business, Surfaces Inc., that was located in their 217 Reserve Ave building were blighted but their building was in great shape. Apparently in the attempt to bully them out of their property, the city decided to condemn their building too which lead to a dramatic decrease in sales for their company. A very dirty and evil thing to do to a small business owner. All in the name of taking it and giving it to Carilion. Carilion had an agreement with the housing authority to purchase the property. Then after people started to find out about this shady deal Carilion decided to back out and said they have no use for the property. Quite possibly to attempt to maintain their image. The damage had already been done though and the Burkholders had to continue to try to save their property and business as they tried to get the message out to the public that their business was still open regardless of the condemnation. When all was said and done, the Burkholders spent almost $600,000 on legal fees and expert witnesses to defend their property. The city spent tax payers money of over $535,000 to take it away from them. The Burkholders hired two appraisers, one who valued the property at the time of theft (2007) at 4.83 million and the other appraised it at $4.5 million. 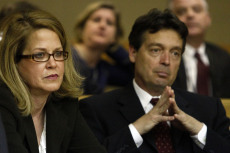 The jury unanimously awarded the Burkholders 2.2 million dollars. Remember it cost them over a half a million just to defend their interest in the property. And they took a major financial hit on their business which they no longer own. On May 25th 2010 they gave up the fight and did not appeal this decision. Today the land that the Roanoke Redevelopment and Housing Authority approved a sale to Carilion Clinic who will buy the 3 acre site on Reserve avenue for 1.53 million, $670,000 less than what the tax payer paid for it. And that doesn't include the over a half a million they used of our money to take it from them. Just wondering, can anyone think of a time where the city has made a good real estate purchase that didn't hurt the tax payer? The Millers Hill deal turned out to be an enormous waste of tax payer money. How about the golf course? Time will tell on that one I guess. Or maybe the City Market Building? Lets see what the capitalization rate comes out to when the rehab is complete. Maybe one day the city will decide that they should spend a little money hiring Real Estate Investors of Roanoke experts to help them with their deals if they are interested in buying and selling real estate. The only exception is that we are not interested in getting involved with any deal where they are stripping away someones property rights via eminent domain. Just legitimate deals is all we will help them with. A bit of Philosophy below from the video the Philosophy of Liberty that is at the bottom of the REI home page that pertains to eminent domain. It's important to look at things from a Philosophical standpoint to determine if something is ethically and morally right or wrong. To deny this is to imply that another person has a higher claim on your life than you do. No other person or group of persons, own your Life nor do you own the lives of others.